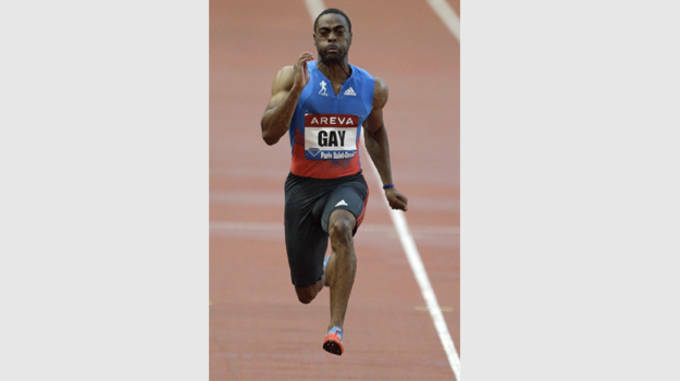 Even if you’re not Track & Field’s # 1 fan, chances are you know Tyson Gay. As the second fastest 100m man in history, behind Usain Bolt, this American record holder has a time of 9.6 and a three-time world Champion in the 100 meters. Coming off a seemingly easy win at the adidas Grand Prix back in May with a time of 10.02, Tyson seems to be healthy and ready for the Championships. Interesting fact, many of Tyson’s uniforms rock a sash across them to honor the great Jesse Owens who won four gold medals in 1936. That&apos;s an OG move. Family is important to the world class athlete, Tyson has his daughter&apos;s name, “Trinity,” on each pair of spikes on his 5 spiked shoes (rather than 6 or 7 like most athletes) If that’s not enough, click here to check out the classic spikes Tyson had remade from his grandmothers attic, courtesy of FloTrack. Walter Dix is no stranger to competing on the big stage. He ran in his first Olympic trials back in 2004 as a senior in high school after setting Florida state records in the 100 meters with a 10.28 as well as the 200 meter dash with a time 20.62. Since then Dix has been making a name for himself in the world of Track & Field. He later attended FSU where he won six NCAA outdoor titles, three of which were in the 200 meters. Dix is also a two-time Olympic bronze medalist in the 100 and 200 meter. He just recently placed second in May at the 2013 Prefontaine Classic with a time of 20.16. He’s coming off a 2012 injury year, so he should have one hell of a will to win in this series. Check him out. When it comes to USA outdoors, Kerron Clement has a pretty flashy resume. 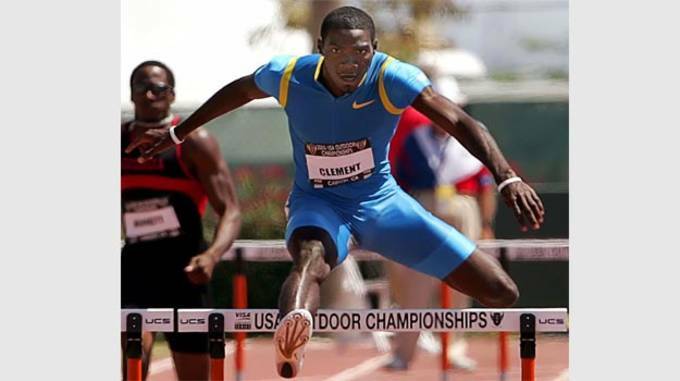 Clement is a two-time USA Outdoor champion in the 400m hurdles back-to-back years in 2005 (47.24) and 2006 (47.39). 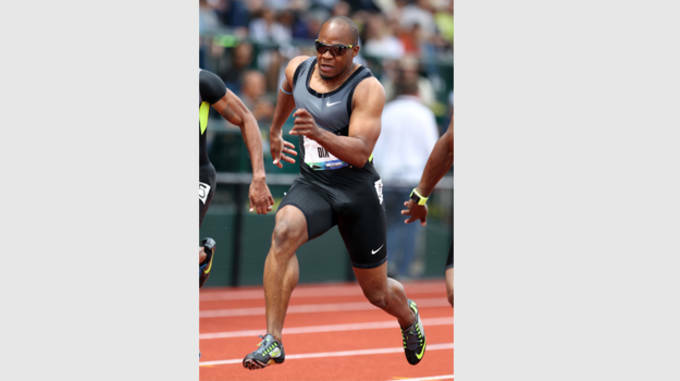 He finished second in 2008 at the Olympic Trials with a time of 48.36 and third in the 2012 with a time of 48.89. Clement also took third in the open 400 meter sprint back in 2009 at the USA Outdoor Championships running a 45.14, and that’s only his USA resume. His international resume consists of highlights such as two-time World Outdoor champion in the 400m hurdles and 4x400m in both 2007 and 2009, 2008 400m hurdle Olympic silver medalist, and 2008 4x400m Olympic gold Medalist. It’s safe to say this is one guy you should definitely keep an eye out for. Being the best in the world at any one T&F event is hard enough, but this guy competes in ten. Ten different events! This includes not only track events, but field events as well. So he’s got to run, jump and throw. Ashton Eaton is an American decathlete who holds the world record in both the decathlon, ten T&F events, and heptathlon, seven T&F events. He is also only the second decathlete to break the 9,000-point barrier with a total point score of 9,039 which became a world record. 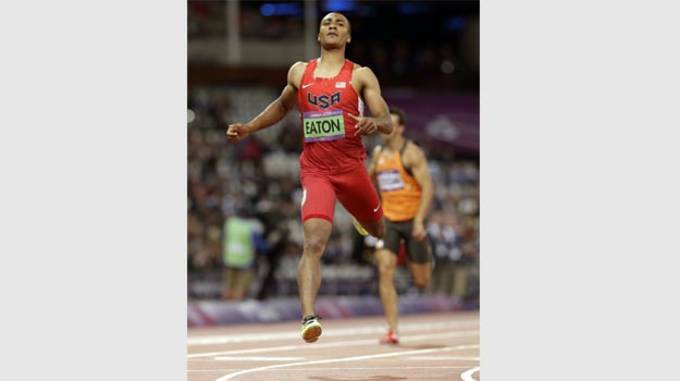 Eaton accomplished this feat in the Olympic trials back in 2012, this lead to an easy gold medal in London. We would tell let you know of a notable spike to look out for but he wear’s multiple different ones. You can check out the Volt Collection here. What’s cooler than a guy who competes at the professional level in two different sports? Not much. 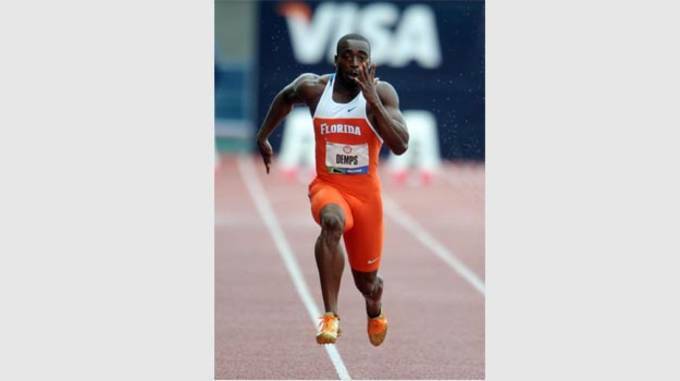 Jeff Demps is not only a running back for the Tampa Bay Buccaneers, but he is also a professional sprinter who took home silver in London as a member of the men’s 4x100m team. Back in January 2012, Demps made the decision to focus on the Olympic Trials rather than the 2012 NFL Draft. Looks like his decision worked out well for him, he went onto winning a silver Medal for his country and getting drafted by the New England Patriots later in August. With the USA Outdoor Championships around the corner, Demps is getting himself in prime condition to be a competitor in the 100 meter dash. He just recently submitted a sub 10 second 100 at the Pan Am Cup, winning the final with a 9.99. If you are a 200 meter runner, than one of your idols is Allyson Felix. Allyson is a highly decorated USATF athlete, winning Gold in the 200m last summer in London, along with two previous Olympic silvers, and three World Championship gold’s. Not only does this girl run the 200, she also competes in the 100 and 400, helping Team USA set records and win medals in the womens relays events. Sixteen year old high school distance runner, Mary Cain is all anyone in the T&F world seems to be talking about right now. 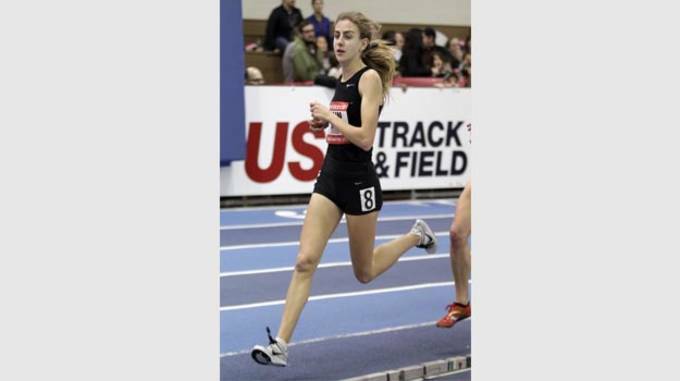 She just recently set national high school outdoor records at 800, 1500, and 5000 meters, which landed her as USATF’s athlete of the week. At the Outdoor Championships, you can find Cain competing in the 1500 meter run where she is currently ranked as the fourth fastest American woman in that event- As a high schooler! There’s three spots to Moscow open in this event, let’s see if Cain can seal the deal. 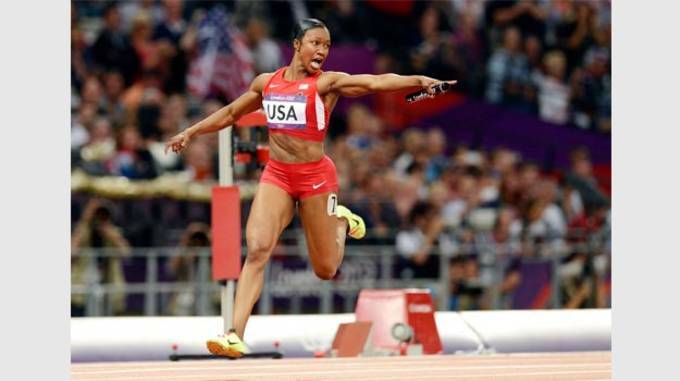 Becoming only the 2nd American woman in history to do so and the first in 28 years, Sonya Richards-Ross in 2012 became an Olympic gold medalist in the 400 meters. Richards-Ross is also one of the most decorated T&F Olympians of all time, and has run more sub 50’s than any other woman in history. For those of you wondering what a sub 50 is, it’s exactly what it sounds like, a 400 meter race completed in less than 50 seconds. But when it comes to the USA Outdoor Championships, Sanya is a pro. 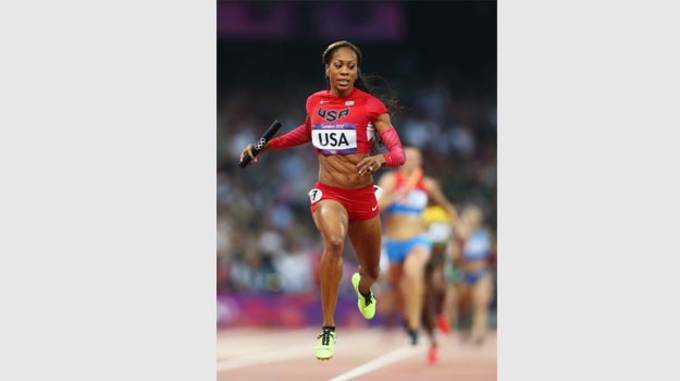 She is a 6-time USA Outdoor Champion in the 400 meter race, winning gold in years, 2003, 2005, 2006, 2008, 2009, and 2012. Can she make it seven? Only time will tell. Carmelita “The Jet” Jeter, is the world’s fastest woman at the moment and she doesn’t plan on slowing down. Coming off a strong Olympic season, winning gold in 4x100m, silver in the 100m and bronze in the 200m, Jeter is ready to take her spot on the IAAF Worlds team heading to Moscow. She’s currently seeded No. 1 for this year’s USA Outdoor Championships with a 10.78 which is only a 10th of a second faster than No. 2 seed Allyson Felix who is seeded at 10.89. With these two powerhouses running neck and neck alongside each other, it should make for an exciting race to watch. The 100m hurdles have a new favorite for the past couple of years and she goes by the name of Dawn Harper. 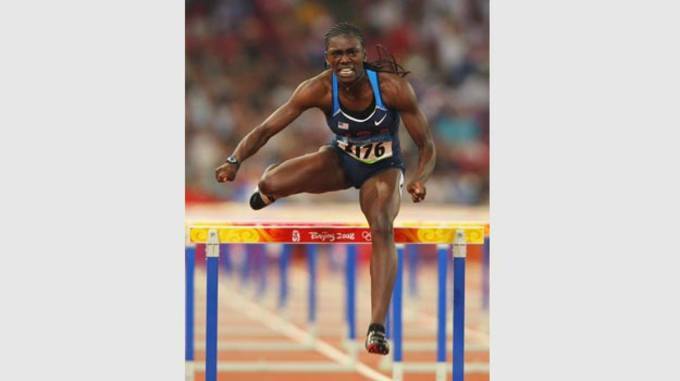 After upsetting Lolo Jones in the 2008 Olympics, Dawn Harper has been at the top of the 100m hurdle race and continues to prove her elite skill level. She recently just came away with a big win form the Rome DL. This should have her confidence high as she prepares for her races at the Outdoor Championships. Harper even sleeps with her spikes, she also has them customized with “East Boogie” written on them, which is nickname for her hometown of East St Lois.